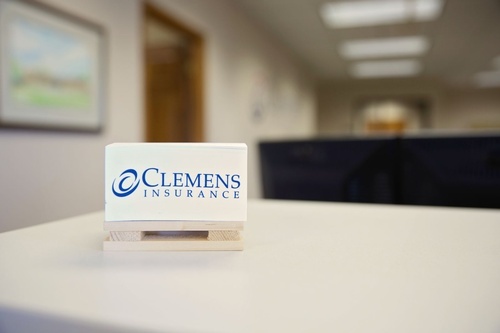 Clemens Insurance represents more than 45 insurance companies, providing transportation, business and personal insurance, plus corporate benefits and life and health insurance to more than 7,000 policyholders. Clemens Insurance is committed to achieving a high standard of excellence in everything we do. You can depend on Clemens Insurance to reach that standard in meeting all of your insurance needs. We are one of the largest, full-service, independent insurance agencies in downstate Illinois – with offices in Bloomington, Carbondale and Jerseyville. Our Orlando, Florida and Newnan, Georgia offices specialize in transportation insurance. Our territory includes the states of Georgia, Florida, Illinois, Indiana, Missouri, North Carolina, South Carolina, Tennessee and Wisconsin. We can write commercial truck and public auto in all states and we can also write business auto and workers compensation in most of the nine states. Our commitment to your satisfaction begins with your first contact. Our professional receptionist – not an automated answering system – will answer your telephone call personally and direct you to one of over 60 dedicated professionals who can assist you. Our commitment extends to our agents, whose hands-on approach keeps them in touch so your coverage remains current. And, if there is a loss, our claims manager will work with you personally to ensure the prompt, courteous and accurate handling of your claim. We offer more than 700 insurance products over and above the ?regular? coverages sold by most independent agencies.